Your quality goals determine our actions. The new service laboratory textile analysis. Holistic and convincing solutions to meet all customer requirements – this is what we expect from BurnusHychem products, technologies and consulting services. 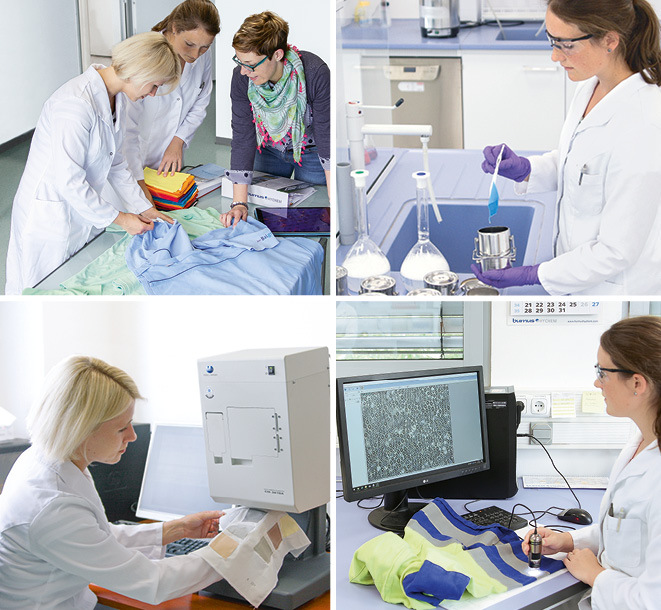 We are expanding this service excellence with our new service laboratory textile analysis. Our analysis portfolio comprises standardized and established testing as well as project-based customer requests, which are handled individually. Continuous exchange with players in the “textile value chain,” established testing methods, involvement in relevant associations, collaboration with research institutes and the know-how gained over previous decades all shape the service excellence of BurnusHychem and the new service laboratory. In addition, the implementation of new testing methods guarantees a continuously developing range of services that benefits customers and allows them to set themselves apart from their competition.